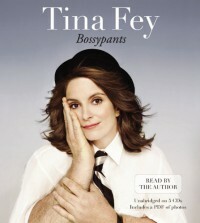 I listened to the audio book, which I think made "Bossypants" much more enjoyable because it was read by Tina Fey. I thought it was funny fluff, perfect for my long commute to work. I laughed at the jokes and stories about Tina's own life, and appreciated the unanticipated workplace tips.